Welcome to Fleet Street! My name is Elizabeth Fleet, born and raised in Richmond, Virginia. After high school I went to college down in Virginia Beach, switching my major almost every other day. One minute I was a nursing student, the next pre-law, education, photography, philosophy. I couldn't decide what I wanted to do with my life. I felt like I didn't belong anywhere. My grades were plummeting and the pressure of trying to find a passion was weighing on me in a way I had never experienced before. So, I dropped out. In my next brilliant move, I followed a boyfriend to Europe (could I be any more stereotypical?) where almost comically fast, he broke my heart. This was rock bottom for me. I was stranded in Italy, too stubborn to admit defeat to my friends and family to go home. So I began to wander aimlessly through the markets. It started as a curiosity and expanded into a challenge. I'd find ingredients that I had never heard of let alone cooked with, and bring them back to my tiny kitchen and try to create a meal out of them. Pretty soon I was spending almost every single day at the market, using what little money and picking up Italian ever so slowly. I began to recognize the other people there shopping, and eventually struck up a conversation with an older Italian gentleman with the warmest smile I had seen in months. With my limited Italian I was able to tell him I was from America, I didn't really have any plans, I just loved the market and all the beautiful food. He laughed and laughed, spoke slowly and sweetly, and told me his family owned the bakery just a mile away and invited me to come see it for myself. I was in love. The atmosphere. The food. The smells. Everything about this little corner Italian bakery was incredible. I felt like I was home. His wife spoke a bit of English, and before I knew it, I was in the kitchen with her, rolling dough and learning how to make zeppoles. A year later I knew it was time to come home. I enrolled in culinary school without skipping a beat. I had finally found my passion, and it had literally been on a plate in front of me all along! Coming back to Richmond with my new-found enthusiasm for all things culinary and local ingredients, I felt like I had been reborn. This city is FULL of incredible food, drinks, and local flavors that not every city is lucky enough to possess. With the support of my friends and family (and my incrEDIBLE fiance and partner in dine, Christopher!) 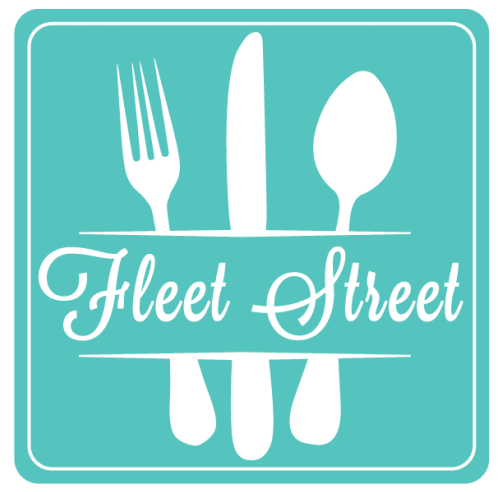 I have been blessed with all sorts of opportunities to tour our city's various food establishments, and share my experiences with my Fleet Street readers!